NOTICE IS HEREBY GIVEN that the Kelso City Council will hold a Public Hearing at 6:00 P.M. on Tuesday, October 2, 2018, in the Kelso City Council Chambers, 203 South Pacific, Kelso, Washington, on Revenue Sources for the City's 2019 Current Expense Budget. This hearing will include consideration of the possible increase in property tax revenues. Citizens attending the hearing have the right to provide written and oral comment. LTAC Members will review, discuss, and make recommendations for allocation of lodging tax funds to staff for presentation to Council for final approval. Loding Tax Funds are available to agencies and events that will promote tourism and encourage participants to sample the hospitality of the citizens and businesses of our area. Memorial services for Cindy Schimpf (Donaldson) will be held at 11:00 a.m. on Friday, September 7th at the Latter Day Saints Church located at 1721 30th Avenue in Longview. The family has opened the services to all community members wishing to pay their respects to Cindy’s life and legacy. The Kelso Public Library will be open from 3:00 – 8:00pm on September 7th. The City is grieving today from the passing of Kelso Library Manager Cindy Schimpf (Donaldson). Cindy passed away this morning at St. John’s Medical Center in Longview. Born and raised in Kelso, Cindy was the City’s longest-tenured employee with just under 36 years of service, all of which was spent in the library improving literacy and influencing generations of children within Cowlitz County. 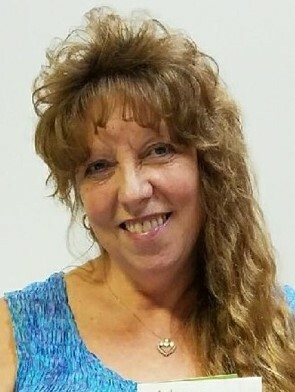 Cindy was appointed as Library Manager in 2010 and expanded the library’s community outreach programs following the facility’s relocation to Three Rivers Mall. She was heavily involved in the local faith community and held numerous leadership positions in charitable organizations such as Altrusa International throughout her career. The Kelso Public Library is closed today and is scheduled to reopen Tuesday, August 28th at 10:00am. The dry spring season, coupled with reduced discharges from the Riffe and Mayfield Dams, have resulted in lower than normal flows in the Cowlitz River. These conditions are affecting the output capability of our Ranney collector. If these conditions continue, the Kelso system may reach a point where adequate amounts of water cannot be produced to fully meet utility customer demand. Therefore, the City of Kelso is asking residents to help conserve water. Please see the full press release for details. The City of Kelso is pleased to invite community agencies and event organizers to submit requests for lodging tax funding that will be considered for the 2019 budget year. If your agency/organization would like to request financial support from the Lodging Tax Fund, please submit a Request for Funding form to the City Manager’s office no later than July 31, 2018 at 5:00 pm. Applications may be submitted directly by email to jbronstein@kelso.gov or mailed to City Hall at PO Box 819, Kelso, WA 98626. Please contact the City Manager's office at 360-577-3301 with questions. As low as 0% interest loans to eligible property owners to enhance commercial buildings and storefronts within the program's designated area. Loan amount is 80% of eligible project costs incurred, up to $30,000 based off of building front footage. Informational Letters sent to business owners the week of June 25, 2018.